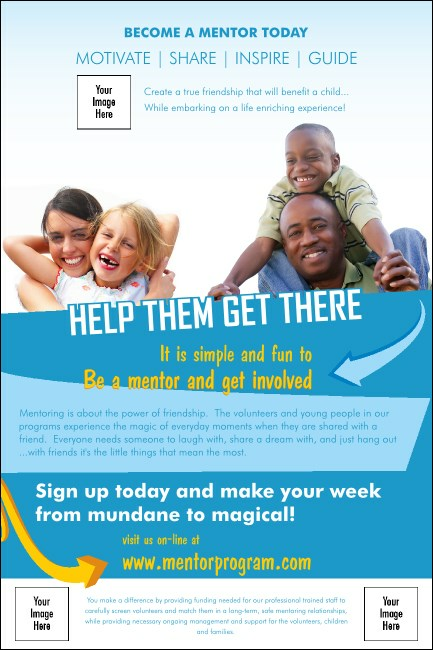 Make a real connection with your advertising when you print Mentoring Posters and post them around town before your event. The bright smiles on each child’s face seem to jump out as they embrace their mentors on this colorful Poster. Upload three unique images for added visual appeal! Let TicketPrinting.com pass the wisdom of event planning on to you.